Sarah came to EKB with her Mother’s gown that her sister had worn for her wedding a few years prior. 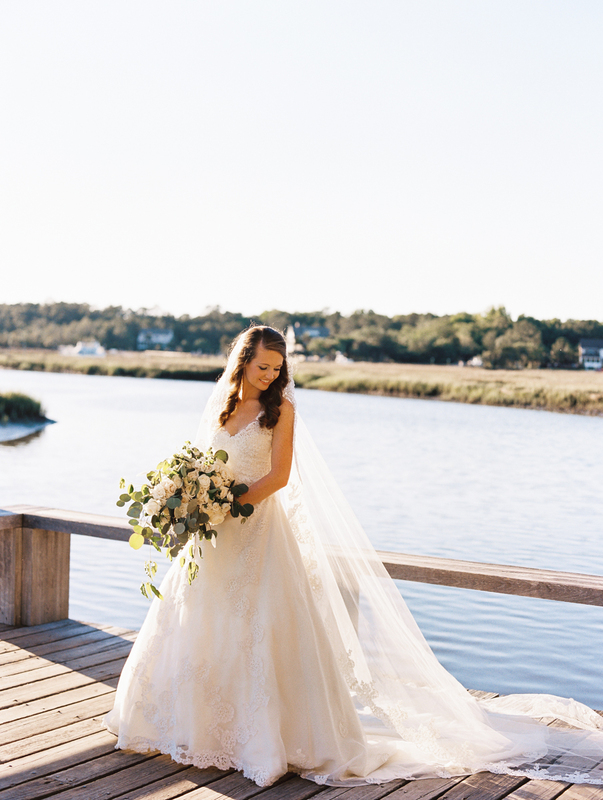 Once Sarah got engaged she knew she would carry on the tradition of wearing her Mother’s beautiful, lace a-line gown, she just needed to change a few design details in order to make it her own. 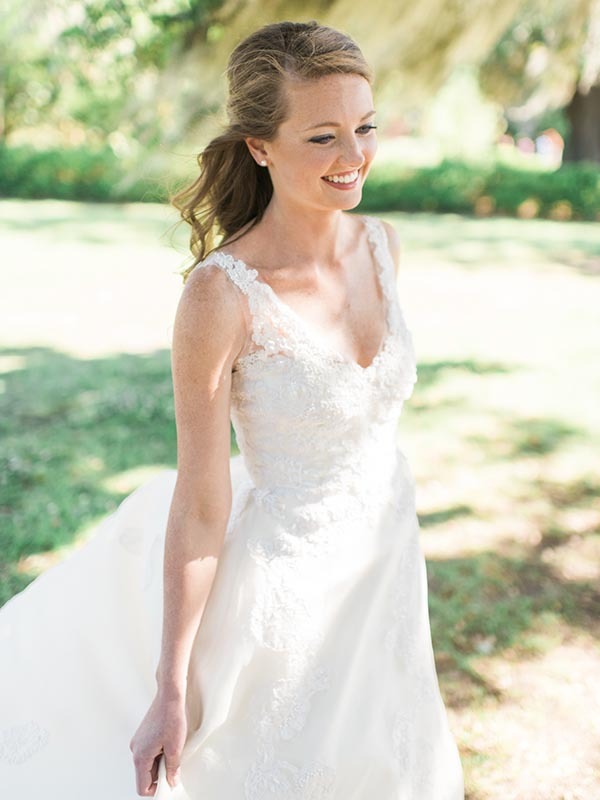 Emily was able to match the lace on Sara’s mom’s gown that was already there and add lace illusion v-neck straps. From there we added lace over the straps, lowered the back neckline a bit and appliqued a few more pieces of lace over the skirt. 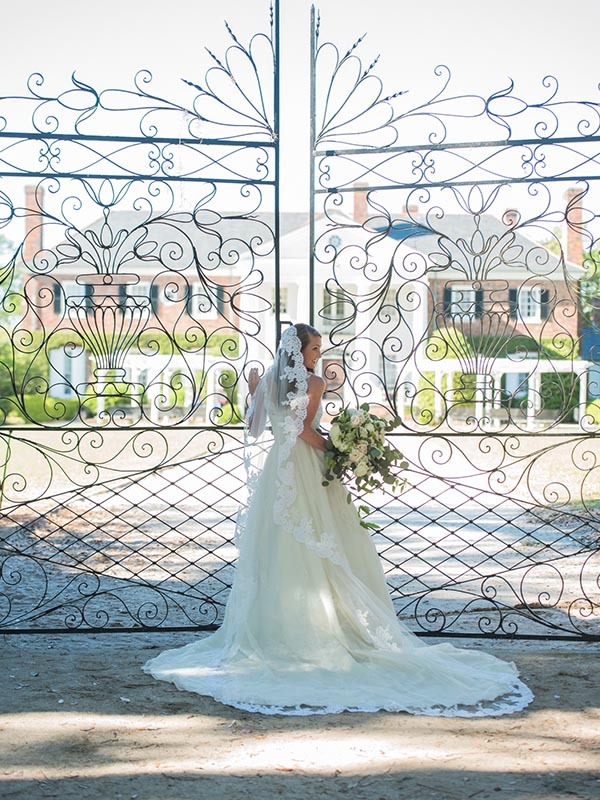 To say that we were blown away by Virgil Bunao‘s beautiful bridal portraits of Sarah at Boone Hall Plantation is an understatement! 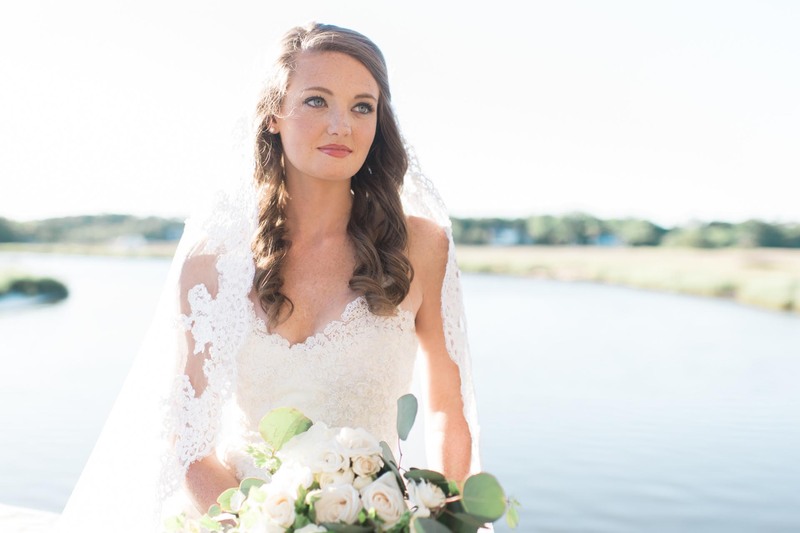 Read more about Sarah’s experience through her written review on The Knot.